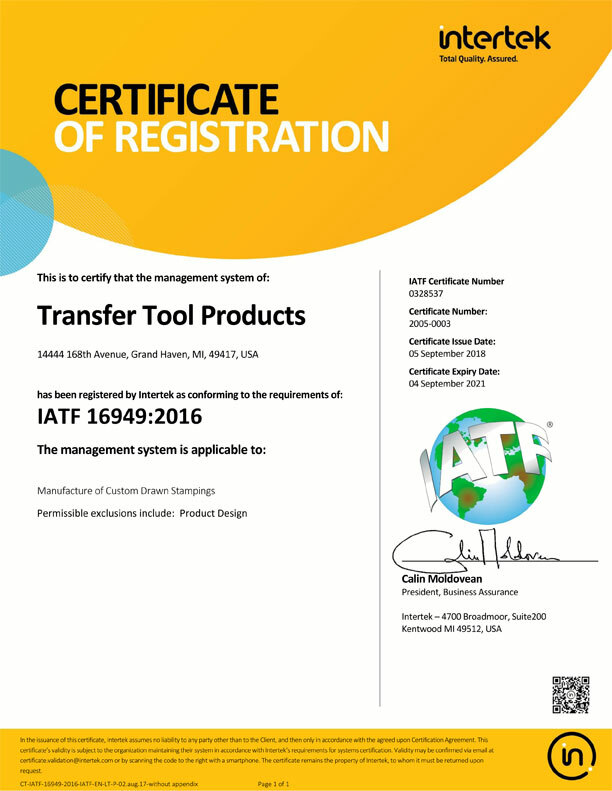 Transfer Tool is IATF 16949:2016 Certified. With customized quality assurance plans in place, we achieve repeatable accuracy according to each customer's specifications. From attribute gaging on a simple sampling plan to complete documentation of a statistically controlled process, Transfer Tool Products is capable of and committed to meeting even the most stringent individual and industry quality requirements.